Vegans don't believe in eating or using animal products, so that doesn't just cut out meat. In a diet, restrictions also include honey, eggs, and cheese (!) and, when it comes to lifestyle choices, many opt to boycott leather, beeswax candles, and even some cleaning products that aren't certified cruelty-free. Many vegans also believe their pets should abide by this plant-based lifestyle. 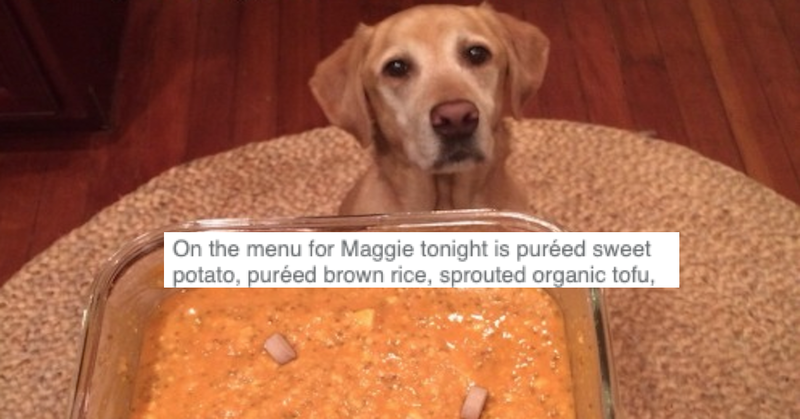 One such person took to Tumblr to show off their dog Maggie's vegan diet. Because if there's one thing vegans love more than animals, it's bragging about their vegan lifestyle choices. Maggie's menu, as they shared, consisted of "puréed sweet potato, puréed brown rice, sprouted organic tofu, chia seeds, and digestive enzymes." Just the description alone makes me sad. I'd never want to see such a tragic diet fed to any healthy individual — pet or human, vegan or not. But the kicker is how proud this person is of themselves., I concede that cooking for one's dog is admirable, but making them eat this?! "Does she look excited?" they ask, in a rhetorical and self-congratulatory manner. "She is!" Maggie, dear reader, does not look excited. She looks tired and possibly malnourished. But the owner can't see this because they're so excited about converting non-consenting omnivores to their vegan lifestyle. 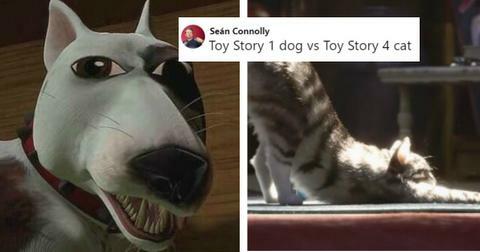 Luckily, one vet jumped into the comments and gave them something of a talking to. "The diet you are feeding your dog places a huge burden entirely on the pancreas, forcing it to produce large amounts of amylase to deal with the starch, cellulose, and carbohydrates in plant matter," they begin. "Yes, even with your supplements. The carnivore's pancreas does not secrete cellulase to split the cellulose into glucose molecules," they continue, "nor have dogs become efficient at digesting and assimilating and utilizing plant material as a source of high quality protein." 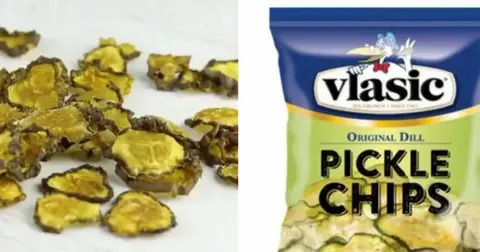 The vet goes on to explain, "when this stuff sits in the pet's intestine," despite the supplemental enzymes the owner feeds her, "it not only irritates the lining of the bowels but also provides the perfect warm, wet environment with plenty of undigested sugars and starches as food for bacteria." In conclusion, although they can respect the owner's choice to lead a vegan lifestyle, they urge this owner to "please" not force it on their innocent beloved dog, who doesn't know the difference. "Your dog absolutely needs a healthier diet," writes the vet, "or it is going to develop health issues and I guarantee you, will not live as long as it could otherwise." Because we're talking about an internet forum here, many people jumped to the defense of the vegan dog owner, saying vegan dogs can "live, thrive, and live a happy and healthy life" without meat — technically. But our beloved vet jumped right back in the comments and doubled down to show these vegan pet owners how incredibly delusional and low-key harmful their thinking is. "Hi hello, you seem new to veterinary science and animal welfare in general," begins this extended burn. 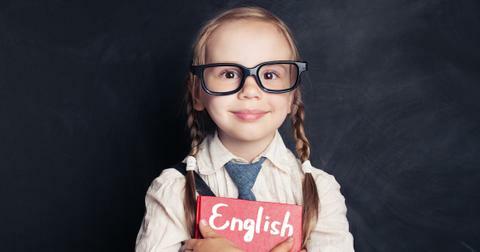 They break down their thesis into a few key points. First, to debunk the myth that dogs will be content and well nourished by vegan meat. "This is an assumption," writes the vet. Dogs as omnivores remains to be proven — but the truth about dogs being natural carnivores, since they share 99.8 percent of their DNA with wolves, is well documented and "understood by many science welfare groups, universities, and doctors of veterinary science." "Cats' and dogs' health is largely dependent on the body's ability to digest and make use of the food that is a part of their natural diet that is supplemented from [meats]," they continue. "By creating a lack of naturally produced (meat, not supplements) protein in the body of the animal, you are putting your animals at risk for something called protein-losing enteropathy." 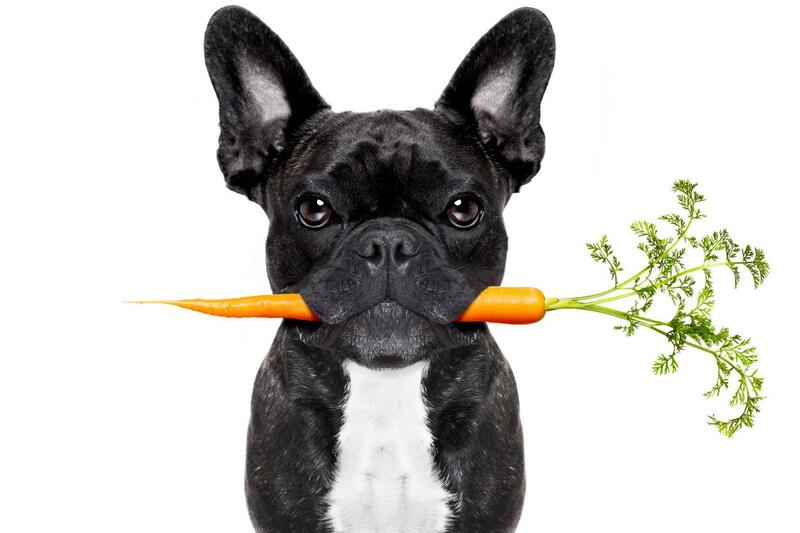 Feeding your pet an all-vegan or even vegetarian diet and expecting them to thrive "is a gamble at best," the vet continues. They explain the wide array of medical complications that can arise from a lack of meat protein. These range from "occasional bouts of diarrhea," lethargy and difficulty breathing to enlarged abdomens and edemas in the legs and feet. 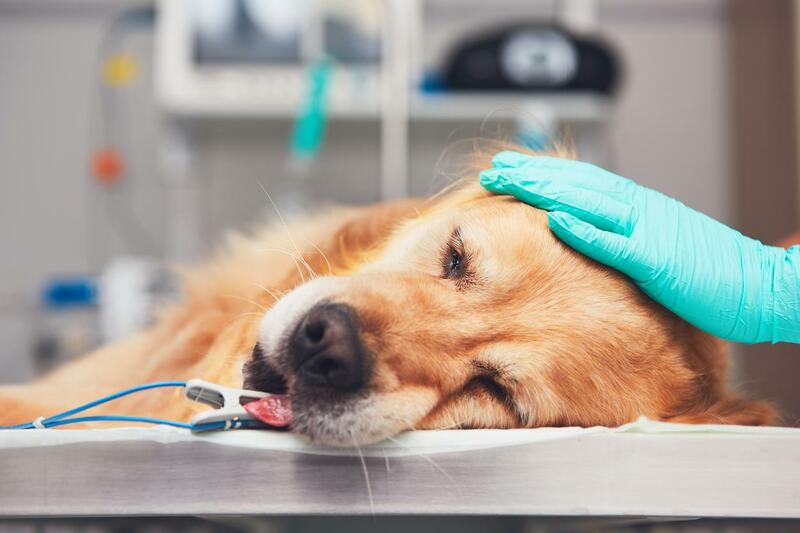 The vet even warns that vegan diets in pets can lead to really serious medical issues like infections, inflammations or even cancer of the intestines and congestive heart failure, among other scary illnesses. Next, the vet addresses the proud vegan parent's (and supportive commenters') perception that Maggie seems healthy and happy about her vegan purées. And by addresses, we mean savagely takes down. "Wrong again," they start. "This dog's nose is dried out, it is almost a pale white pink. This is an indication of dehydration or something more serious. The eyes are not clear and bright as they should be, they are red and puffy around the edges ... 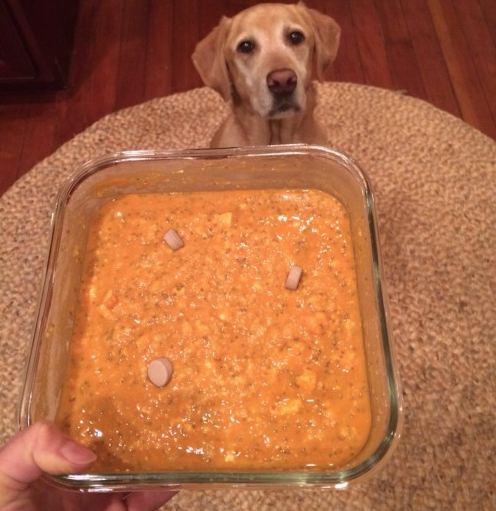 This dog also has a blank stare and the nose is not pointing at the food. 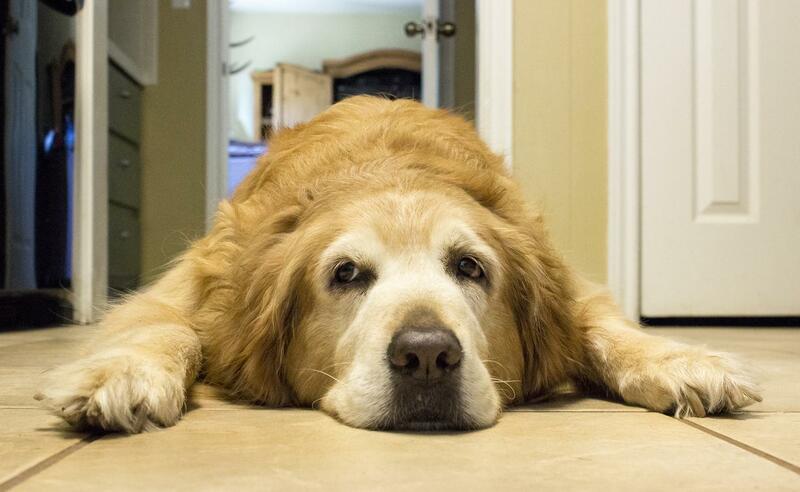 This means the dog is uninterested and is a sign of lethargy," they write. "This dog is begging for this meal to be something nutritious," concludes the vet before telling all of Tumblr to educate themselves on important topics before preaching "something you have no idea about." Most non-vegans can agree Maggie is the saddest looking lab they've ever seen and hope this thread really hammers home the point that vegans can't just project their lifestyles on animals that are meant to thrive off meat. We don't know which of your vegan friends needed to hear this, but there it all is, backed by science.